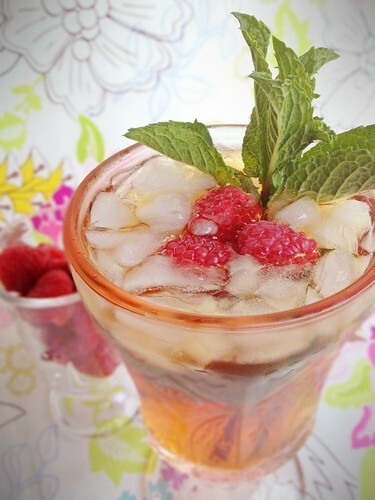 Nothing says summer like iced tea! 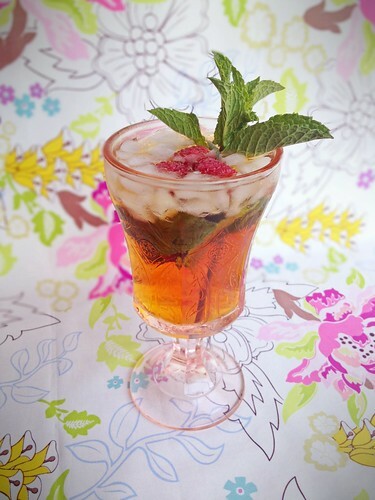 Muddle the mint leaves with the raspberry liqueur. 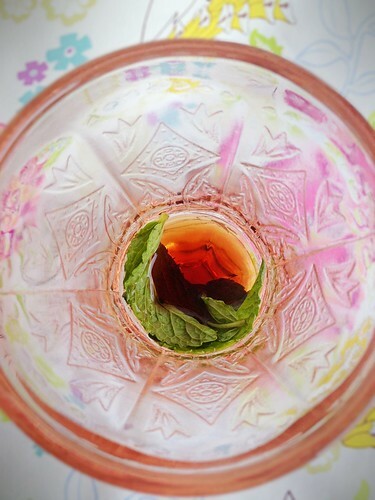 Add tea vodka, water, and ice and stir. 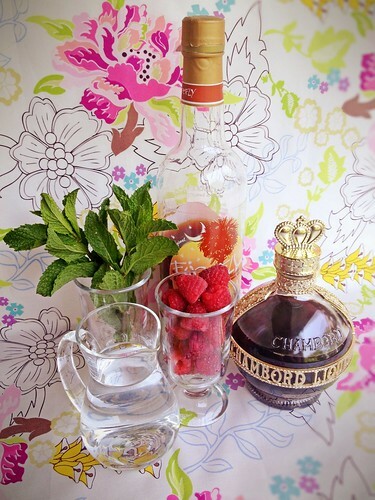 Garnish with fresh raspberries and mint leaves. Wasn't one of your 2012 goals to take better photos? Accomplished. These are fantastic, and that looks quite tasty. 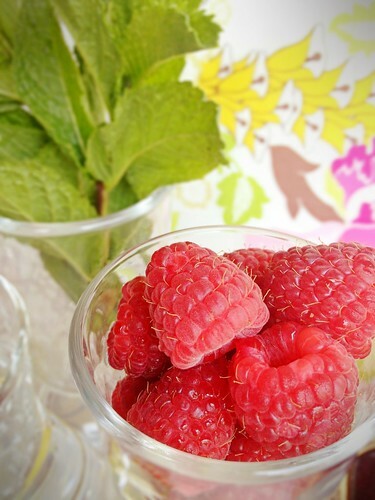 I just want to put those raspberries all over my fingers and eat em! Thanks! These are some of my favorite photos to day, for sure!